The Institute of Environmental Science and Technology, ICTA, is part of the Universitat Autònoma de Barcelona (UAB), a public university with more than 40,000 students (of whom about 10,000 graduate students), and about 3,000 professors and researchers. ICTA is a multidisciplinary centre that promotes academic research and postgraduate education in the environmental sciences, covering natural, social and engineering aspects. It was created in 2003, inheriting the expertise of a previous Environmental Studies Centre, and is now recognized by the Spanish Government as a Centre of Excellence. It aims to improve the understanding of global environmental dynamics, and the nature and causes of a broad spectrum of environmental problems, including water management, biodiversity conservation, soil erosion, alternative energy sources and climate change. In addition, it studies policies, strategies and technologies to foster a socio-technical transition to a sustainable economy. At present, ICTA has a team of over 75 specialists, representing a broad range of fundamental and applied expertise in the natural and social sciences, and about 100 PhD students. Its researchers are currently involved in over 30 EU and other internationally funded projects and have an active publication role with an average of over 100 SCI articles per year (137 in 2014). ICTA staff offer strong interdisciplinary skills and innovative integrated approaches to environmental challenges that are particularly suited to address the nexus between food, energy and water security and climate change mitigation. Sandra is project manager at the Institute of Environmental Science and Technology (ICTA) of the Autonomous University of Barcelona (UAB), Spain. 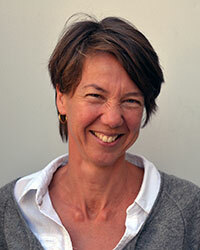 She holds a degree in Human Nutrition from Wageningen University (NL). Previously she has held various positions at: the University of Padova, Italy (1995-96; integrated analysis of the effects of agricultural intensification on sustainability in P.R. China,); Cornell University, Ithaca, NY, USA (1992-95; Research Assistant with Prof. David Pimentel); Istituto Nazionale di Ricerca per gli Alimenti e la Nutrizione (INRAN), Rome, Italy (1989-1991, research on adaptation to seasonal food shortages in rural Ethiopia), and the Rowett Research Institute, UK (1988-89; research on energy metabolism). She has published on a wide range of food-related subjects, such as human metabolism, characterization of sustainability and performance of food systems in relation to different dimensions of analysis, and non-conventional protein sources (entomophagy). Prof. Louis Lemkow Zetterling has a BA in Sociology (University of Essex, UK) and Geography (Universitat Autònoma de Barcelona), a MSc in Environmental Resources (University of Salford, UK) and a PhD in Economic Sciences (UniversitatAutònoma de Barcelona, 1981). Presently, he is Full Professor in the Department of Sociology of the Universitat Autònoma de Barcelona, and member of the Institute of Environmental Science and Technology (ICTA) and the Centre of International and Intercultural Studies of the same university. He has served as Director of the Institute of Environmental Science and Technology (ICTA), 2006–2012; Vice Rector for International Relations and Cooperation, UAB, 1994-2002; and Director of the Department of Sociology, UAB, 1984-86. He has over 30 years of experience and has published extensively on interdisciplinary topics related to environment, society and sustainability, including health, gender inequalities, work and unemployment; science, technology and society (STS); and peace, conflict and mediation. 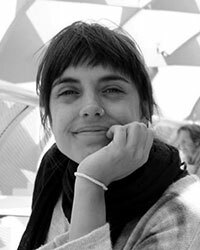 Violeta is a postdoctoral researcher at the Institute for Environmental Science and Technology of the Universitat Autònoma de Barcelona. Her research includes water governance systems, water policy implementation strategies and water metabolism of social-ecological systems. She is particularly interested in deliberative governance mechanisms, transdisciplinary practices and the integration of quantitative analytical methods in participatory processes. She recently finished her PhD in Human Geography at the University of Seville, focused on integrated assessment of water governance in semi-arid watersheds. She holds a Msc. Applied Ecology at the University of Halmstad in Sweden, a Msc. Integrated Watershed Management at the University of Granada and a bachelor in Environmental Sciences at the University of Malaga. For more information on Violeta’s work see: Twitter: @vcabellov @WaterP2P and www.aquabits.net (blog). 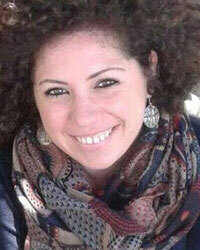 Maddalena holds a PhD in “Environment, Resources and Sustainable Development” at Parthenope University of Naples in 2014. 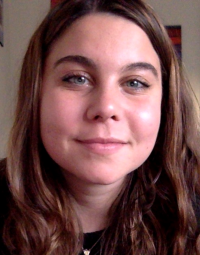 During her PhD and after, as postdoc researcher, she has collaborated in several international and European projects. Her research activity deals with (i) integrated approaches for environmental sustainability assessment and (ii) their application to bioconversions processes, waste management and energy efficiency strategies. She is author of several peer-reviewed papers in international journals and conference proceedings. 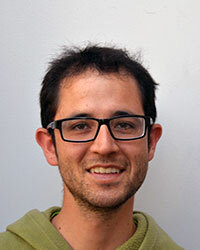 Dr. Tarik Serrano is currently a Post-Doc Researcher in the Institute of Environmental Sciences and Technologies of the Autonomous University of Barcelona. 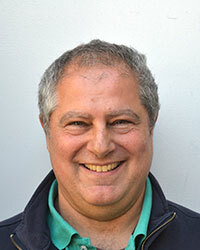 His research topics have focused on incorporating and developing methods for the MuSIASEM approach. 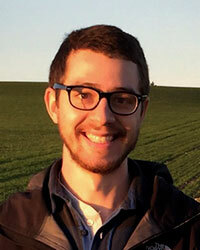 He has experience in analysis of rural systems, GIS, energy and food. 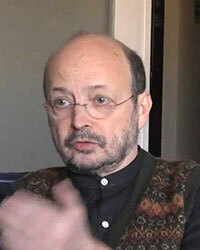 Tarik has led or participated in projects in India, Laos, Catalonia, Guatemala, USA, Mauritius and Ecuador. As a former Prometeo Researcher, he has recently developed integrated methods of analysis for rural territories under the MuSIASEM scheme for the assessment and new design of agrarian policies in Ecuador. Louisa is a PhD candidate at the Institute for Environmental Science and Technology of the Universitat Autònoma de Barcelona, under the supervision of Mario Giampietro and Maddalena Ripa. She holds a BSc in Physics from King’s College London and a Master’s in Environmental, Social and Economic Sustainability from the Universitat Autònoma de Barcelona. 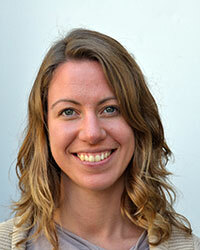 Her research interests focus on the energy metabolism of societies in relation to the water-energy-food nexus. She also has an interest in scientific communication, both through writing and through art.